DANIEL Craig will become the highest-paid James Bond actor after signing on for two more films as the famous British spy. Craig, 44, who is in Australia driving the release of Skyfall - his latest outing as 007 - will be paid 31 million pounds ($48 million) to star in two more titles of the 50-year-old franchise, London's Sunday Times reports. As Skyfall continues to prove itself a box office scorcher around the globe, plans are under way for a 2014 release of the next 007 instalment, followed in 2016 by Craig's fifth turn in the tuxedo. Craig's pay packet has taken a steep climb since he first appeared as Bond in the 2006 flick Casino Royale, for which he received 3 million pounds, the newspaper reported. Quantum of Solace, 2008, brought in 7 million pounds for the MI6 tough guy role, while Craig has collected 17 million pounds for his latest appearance. Craig's 007 predecessor Pierce Brosnan earned up to $US16.5 million ($16 million) for his third and final Bond film, Die Another Day. Sean Connery, the original Bond, was paid an average of 218,000 pounds for each film, equating to about 3.2 million pounds in 2012 terms. The same calculations saw Australian George Lazenby paid 468,000 pounds for his one-off appearance, Roger Moore earn a 6.3 million pounds on average per film and Timothy Dalton pocket 5.4 million pounds per film for his efforts. 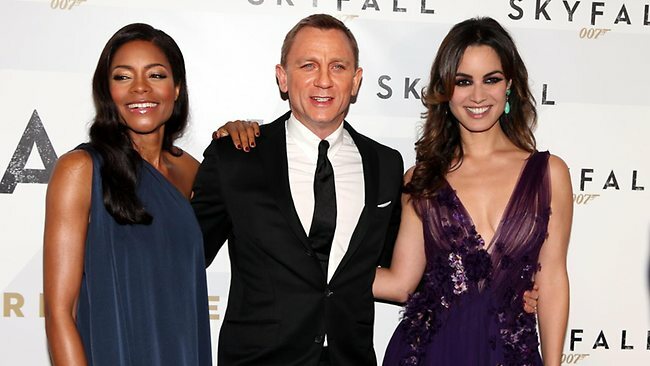 The latest deal offered to Craig will see him earn a 9.6 million pounds on average for each of his five bond films.